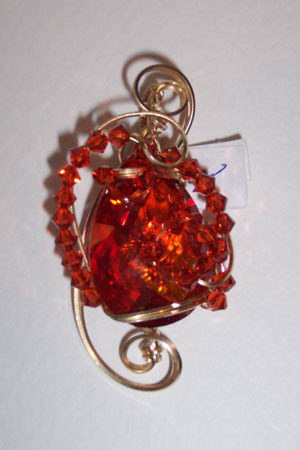 Cubic zirconia pendant warm tangerine in color accented with Swarovski crystals. Sculpted in 14kt rolled gold. Measures 2.25"x1.25".